A CND™ SHELLAC™ CERTIFIED PRO IS A STEP ABOVE THE REST! CND™ SHELLAC™ Certified Pros made a commitment to CND to provide their clients with a superior service. CND™ SHELLAC™ brand ensures superior 14+ days of wear, high shine, zero dry time and no nail damage*. 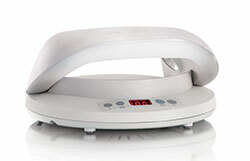 CND™ SHELLAC LUXE™ AND CND™ SHELLAC™ GEL POLISH SYSTEMS? Your natural nail should never be filed except to shape the free edge. For the perfect cure, ensure the lamp features the CND™ logo. 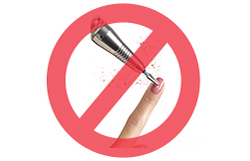 The only way to remove CND™ SHELLAC™ is to wrap, remove and restore — no soaking or filing! HOW DO I FIND A CND™ SHELLAC™ BRAND CERTIFIED PRO?